GOLD HILL is back! 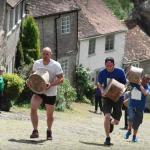 Nearly a year after clean-up work began on Shaftesbury’s iconic landmark, the final countdown began to reclaim The Hill from nature and leave it looking better than it has for a long time. Volunteers Doug Giberson and Richard de Camin, along with Shaftesbury Town Council employee Mike Wakely, arrived early this morning armed with scrubbers, scrapers, sandpaper and elbow grease to rub down 23 oak posts that serve as handrail supports up the hill, followed by two coats of wood preservative. A handrail has been on the hill since cars arrived, to stop them crashing into the retaining wall. There’s a photo in the excellent Gold Hill Museum from circa 1900 (right), and several others over the years – with differing numbers of posts. One from the 1950s has none. 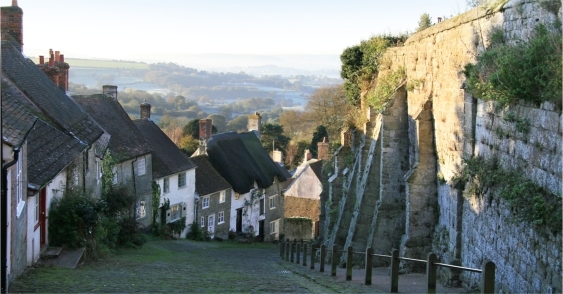 But they were back when the Hovis advert was filmed in 1973, and have been there since. One informed source says the current oak posts have been there only 10 years. But we digress. The point is that the work on the handrail is the last act in 10 months of work funded by Tesco’s Bags of Help scheme, which has helped revitalise Gold Hill. The extraordinary thing is that nobody appears to own the old Abbey Wall that borders Gold Hill. Not the county, district or town council, not English Heritage or another national conservation body. Not even The Abbey Museum. 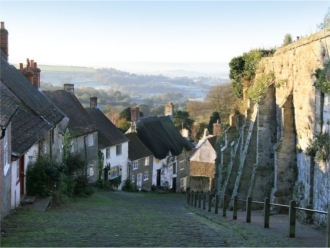 But with Gold Hill being Shaftesbury’s biggest tourism asset, allowing Gold Hill to become Green Hill was not an option. So credit to Anne Giberson, chair of Shaftesbury and District Tourism Association (SDTA) for persevering in getting private sector funding for the clean up work to be done. With councils pleading poverty, and no one body responsible for The Hill, the SDTA applied to be one of the beneficiaries of the Bags of Help project, whereby the 10p then paid by customers for plastic bags was redistributed to community projects. 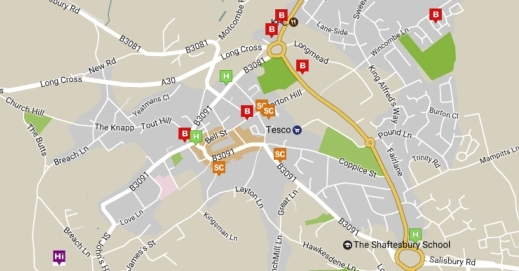 The appeal to help clean up Gold Hill worked, with Tesco making a substantial grant towards the project. The money was largely spent in two tranches. In the autumn of 2017, specialist stonemason Lorenzo Ferrari and his team lifted and relaid those cobbles that had worked loose, while clearing the gullies and drains of silt and weeds, scraping vegetation off the cobbles and clearing the areas around the bench seats. You can read the full story of The Gold Hill clean-up Pt 1 here – and watch the video. Then in May this year, workers from Dorset County Council (DCC) arrived with a cherry picker, hired in from Bristol, to reach the top of the walls and clear off Valerium and other vegetation, while keeping the wallflowers. The vegetation was stripped off the walls to the top of Gold Hill: the team returned a fortnight to clear the lower walls and spray the roots to keep the walls clear – watch the video below. 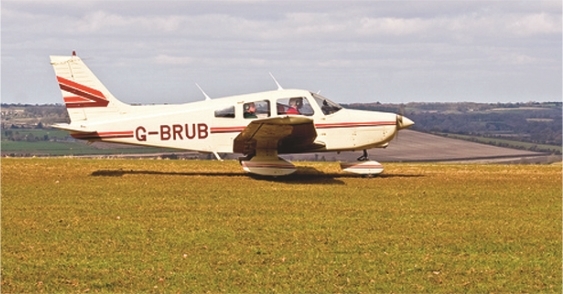 The DCC was paid via the Tesco grant. And the final job was to rub down and varnish the wooden rail supports. 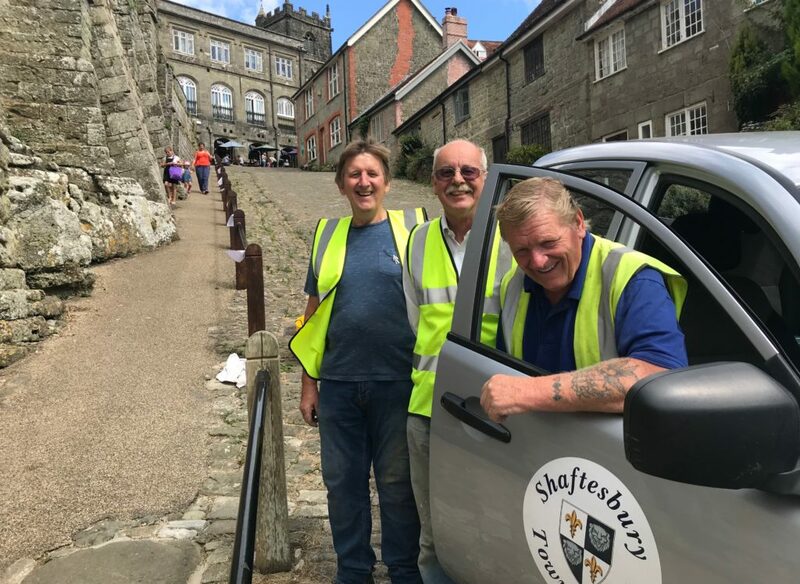 Now, it’s just a simple task to work out who owns the Abbey Wall and who has responsibility for cleaning the wall and Gold Hill, and lay down guidelines for ensuring regular maintenance work is done in future!